What’s up, everybody? It’s Chris Johnstone here and I hope you’re having a fantastic day. 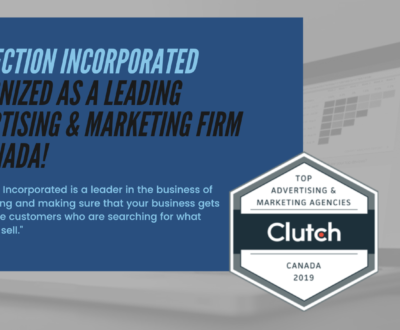 As many of you know, I’m the owner of Connection Incorporated, and we help financial services professionals use online mortgage marketing to grow their businesses. We help our clients accomplish their goals through advertising on Facebook, Instagram, YouTube, and Google. I just got off an interview that I did with someone that’s at an exceptionally high level in the business space. I can’t wait to share it with you! We had a conversation about business growth. Not just talking specifically about financial services businesses, but all businesses in general. The conversation led to me basically saying, well, look, in the mortgage business, and with a lot of our clients and customers, the number one way that most of our customers get their business before they start working with us is from past customers, right? In the mortgage business, when you do a good job, people come back and do business with you again. And they refer their friends and family members, their co-workers, and all those wonderful things. So many of our clients are so good at what they do, that these referrals become the primary source of their business. It’s normal for us to have a customer that comes into the business saying that the majority of their business is currently coming from past customers. When we hear this, we know that more often than not we can make a dramatic impact in that business. One, by showing ads to their past customers so they get even more referrals and more past customers and two, by tapping them into an avenue for their business that is much more scalable. That’s what today’s conversation is really all about. 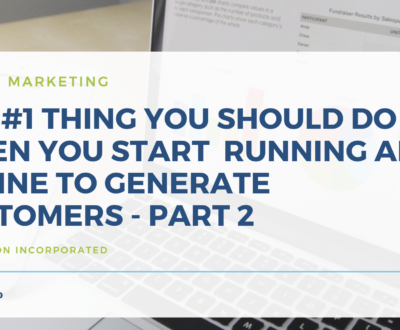 If you’re relying on your past customers, and you’re looking to grow your business, it’s very difficult to do that by just relying on past customers. At this point, there are a number of different factors that are weighing against, one of them being market dynamics. If the market changes, and you’re just getting your customers from past customers, well, it’s very difficult to scale that, right? If you look at the three ways to grow a financial services business (this relates to all of our mortgage, legal, real estate, and financial planning clients) – you’ve got your past customers, you’ve got your referral partners, and you’ve got your advertising and going directly to the market. Those are really the only pathways that you get to choose from in order to build your business. For past customers, you should have systems in your business for maintaining the relationship with those people. 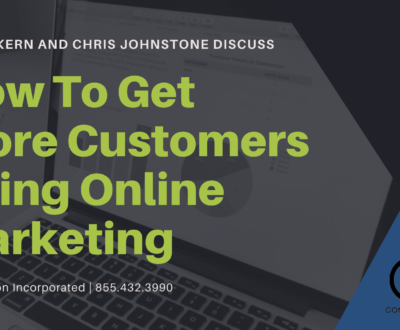 You do need to keep past customers as a base and you should be advertising to them on social media so that you get all those referrals, but at some point, there becomes a law of diminishing returns by focusing on that. You have to move to one of the other two pathways to grow your business, which is either getting referral partners, so for a mortgage professional, that’s a Realtor or a financial planner, or an insurance professional. You have to get those people to send their customers to you and when they do, that’s a phenomenal way to scale your business because, for every real estate partner that you bring into your business, they’ll send you four, five, six, seven deals a year. And the more Realtors that you get, there’s an exponential growth factor that comes along with it. The thing that goes along with that is relationship management. As soon as you have a referral relationship with a Realtor, you need to maintain that relationship. You need to keep that relationship healthy. Some people love that, and they absolutely want to be in a relationship based on their business goals. 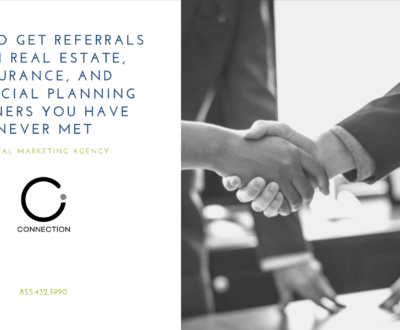 So in most cases, getting more referral partners makes sense and is the right way for most financial service businesses to grow. 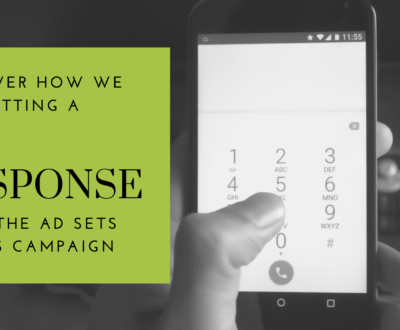 Even compared to the scalable traffic of referral partner leads, advertising can actually go a lot faster, which is why our conversation ended up focusing on this path the most. In order to really, truly be successful in your business, if you can take advertising dollars, put them into advertising, and within 30, 60, 90 days, return more than you have invested in advertising, and you can do that consistently, and at scale, you have the fastest path to the level of business you want to have. All of us are trying to build different businesses. Some of us are in the mortgage business because we want a lifestyle business that doesn’t take a tremendous amount of our time, but we want to be lone wolves. Other people want to build large businesses and have teams and people. We can all be in the same business but build something completely different that’s more perfect for our life. So, we’re looking at this from the perspective that you want to grow your business in general. You want to be scalable in your business and you want to be able to grow fast. Well, the way to do that, in my opinion, is to build a marketing system that provides a reliable result of the number of leads and the number of closings that you get from that system, and know that at the end of the day, for every dollar that you put into it, you get X amount of dollars back. Then from there, you continue to add more and more dollars into that advertising system until you reach a point where you’ve hit the goal you were aiming for. Now, the trifecta of all of this is having good systems in place for all three. And that is what I am going over in our upcoming webinar. I’m going to show you exactly the system that you should be leveraging with your past customers. It has direct mail, to your past customers. It has this cool new strategy where we’re using ringless voice mail to communicate with your past customers. 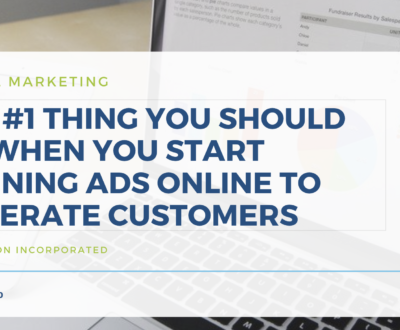 It has retargeting so that every past customer that you have is a referral advocate for you, and they remember to refer your business to their friends, family, and co-workers as much as possible. Then on the Realtor pathway, we have three different strategies that we’re going to teach you for how to get those referral partners. The first one is to teach them how to do database marketing properly. 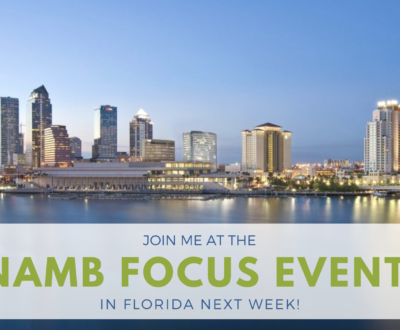 All of the things that you’re going to learn in the first one, on how to get as much business from your past customers, we’re going to show you how to implement that for your real estate partners, for your insurance partners, for your financial planner partners. 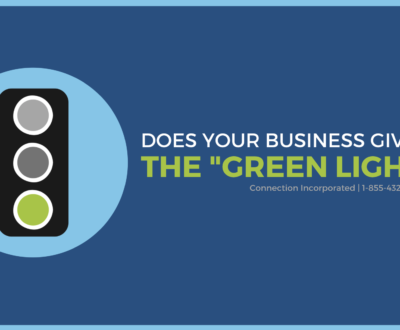 This way, you help grow their business, and all of that new business comes to you. The second pathway that I’m going to show you is how to put a new system in place to follow up on all of the leads that your Realtors have ( Zillow leads, Boomtown leads, Commission leads, etc. – it doesn’t matter where the leads come from). You can take those leads (even the aged leads that are 30, 60, 90 days old), put them into this system, and it will convert those into inbound calls and inquiries about getting qualified for a mortgage with you. This system allows you to prequalify those leads and give them back to the Realtor after they thought that the deal was dead. It’s a fantastic value add. We call it the irresistible offer because you can go to a real estate partner who’s potentially working with somebody else (or whatever other one of hundreds of objections they may have) and you flip the tables and say, “Hey, look, I don’t want your business. All I want to do is help close the business that I bring in myself. Let me prove myself. Give me your aged leads and I’ll convert them”. I show you exactly how to do that in the training. Then the third thing that I’m going to teach you is how to generate a reliable, consistent flow of high-quality leads that you can work together with your Realtor partners. Whether you want to use Facebook or Instagram (or both) to generate real estate or mortgage leads that you then pass back and forth, I’m going show you exactly how to do that. While we are going through it, if you have any questions about this stuff specifically, just go ahead and shoot us a message and we are happy to help you out. If you would like an invitation to the training, just leave a comment below and say, “Yes, Chris, send me the link.” and I’ll send you a link where you can register for the training. Anyways, the third thing, and the thing that I’m most excited to share with you during this training, is how we’re using Google, YouTube, Facebook, and Instagram in order to create a consistent flow of very high-quality leads that are coming into your funnel. That training right there, I believe, is going to be the piece of the training that most of you are going to get the most impact from because we’re teaching you how to find the traffic that’s actually in market right now, looking for a mortgage, on all those different platforms. And then I teach you how to create an offer that has value for those consumers so you’re actually helping them before you talk to them, or before you have an appointment with them and you are building that bond with them already. What you’re doing is you’re attracting them into your business, rather than using advertising to bullhorn or push yourself into a marketplace. It’s a completely different way to turn the tables on advertising. I’m going to teach you how to do that through an offer, which actually helps them through the application process. You’re going to learn about our chatbot that uses Facebook Messenger to actually have an automated conversation with somebody to help them get qualified for a mortgage. Then I’m going to teach you how to take the leads that come through that system and automatically follow up with them, without you actually having to do any of the chasing down with the leads themselves. We use ringless voice mail, text message, and email, in a system that’s pre-programmed with the messages that we wrote with a direct response copywriter who works in the real estate and mortgage business, who I consider to be one of the best in the industry. I also worked with Carl White on those as well. We did the initial copy together and then had a copywriter come over and make tweaks from there. These messages that we’re sending out to those past customers get over 40% of the people that have been through the funnel to reach back out and request an appointment. Now, that’s not necessarily the by-product of just the follow-up system. It is the by-product of the entire system as a whole. The proper targeting on the front end, making them go through an offer that has great value for them but also makes them jump through hoops, the bot that gets that information for you automatically and the automated follow-up system. So by the time that person gets to the end of the process, they’re converting really well because they’re very high-quality leads when we put them into the system. That is what I’m going to teach you during the training. And even then, I’m not even done! It’s only an hour long training, but I’m still going to show you how retargeting is going to transform the closing ratio that you have on the leads that you put into your funnel. When you have somebody that you target through Facebook, Instagram, Google, or YouTube, and they come into your funnel, all of a sudden, you need to shift the messaging that you’re giving to that person. They should start seeing testimonials from your past customers, testimonials from the professionals that you work with in the industry. You can actually take that person, who’s become a lead for your business, and start to show them advertisements that are going to move them from just trying you out, maybe checking rates with a couple of other lenders, to winning their business. Not only am I going to teach you how to use retargeting to generate a higher quality lead up front, but I’m also going to teach you how to use retargeting to close more of the leads that you’re already getting in your business. This is a strategy that you can apply directly to your Zillow leads and to all of the other leads that you’re getting from all of these other pools that I’m going give you access to through this webinar, and teach you how to get your Realtors to give you the free leads. That just takes everything and compounds it, and makes it work even better for you. So if you are looking for more closings and high-quality leads from digital mortgage marketing on Facebook, Instagram, Google, or YouTube, this upcoming training is going to be hands down, I think, one of the most valuable pieces of training that you have access to. Certainly this year and certainly right now. If you’re interested, I’ll shoot you the link if you leave a comment below. Just type, “Yes, Chris, I’m interested,” and I’ll make sure that you get a copy of it. So again, my name is Chris Johnstone. I hope that you found this little tip helpful in scaling your mortgage business and I’ll see you on the next one.